We offer a full range of services, on-site or at our location. If you lost your keys, no problem! We can originate them in a flash and have you back on the road. No need to go to the dealer for the "transponder" or "chip" keys. And don't forget remotes! We have all the OEM factory remotes; Ford, Dodge, GM, Nissan, Honda, Lexus and Toyota, we do them all! If you need your entire vehicle rekeyed, we have you covered! We can use your existing locks, or if they are in need of replacement, we can do that as well! 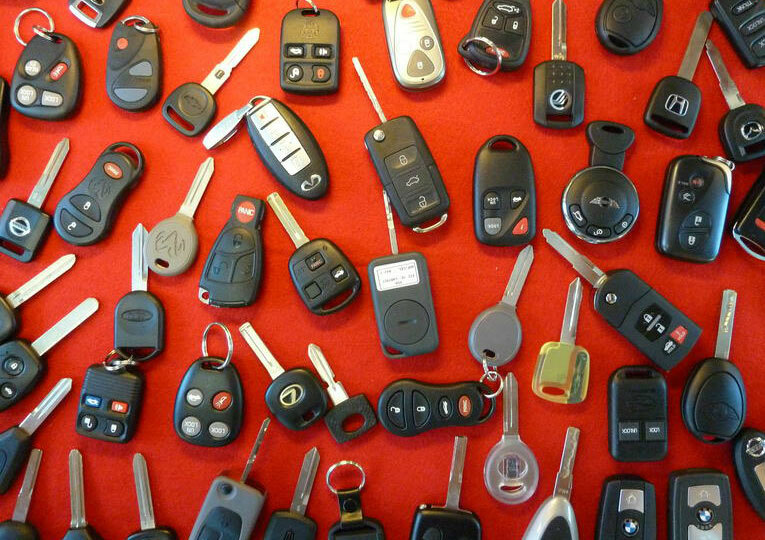 Don't believe that you must overpay at the dealerships for duplicate keys for your BMW, Mercedes-Benz, Jaguar, Land Rover/Range Rover, Mini, Audi, Volkswagen, Volvo, SAAB and select Porsche models; we can duplicate or originate those as well. Replacing a computer or module in your vehicle? Do you need it reprogrammed? When you get a rebuilt PCM, it typically does not come programmed with all the correct parameters and the VIN number. We have all the factory equipment to do all the programming necessary. These modules are important to have programmed, as the vehicle needs to know the proper information to have all safety and drivability parts work correctly.